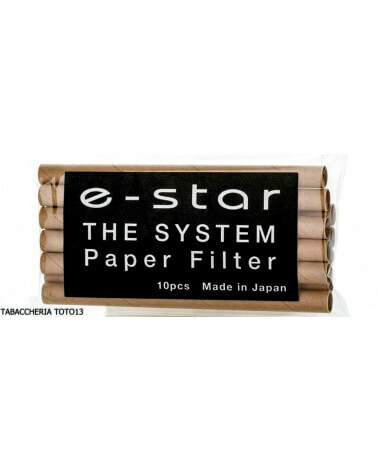 It 'a filter system based on the properties of balsa wood. 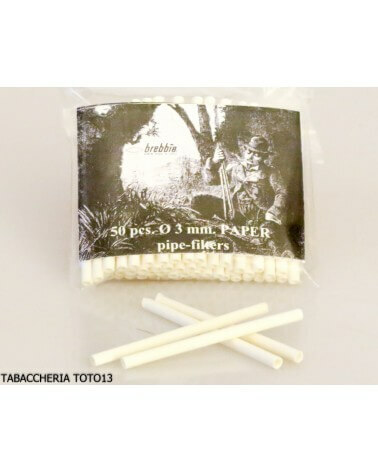 The balsa filter allows the absorption, naturally and without additives or chemical materials, humidity and annoying water that is created inside of the pipe barrel. 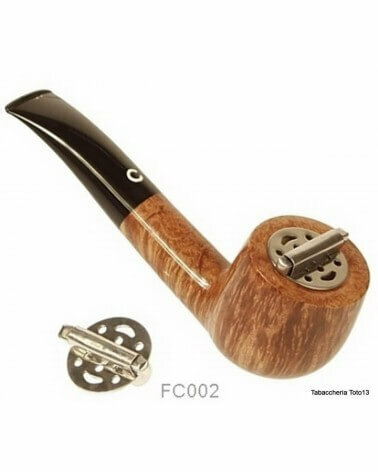 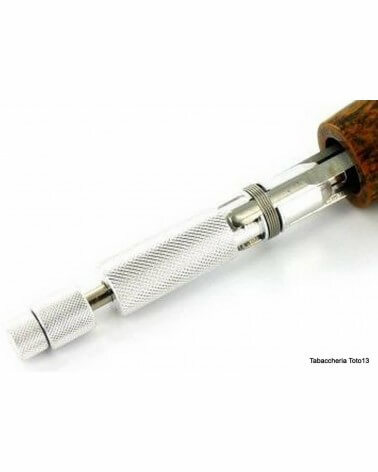 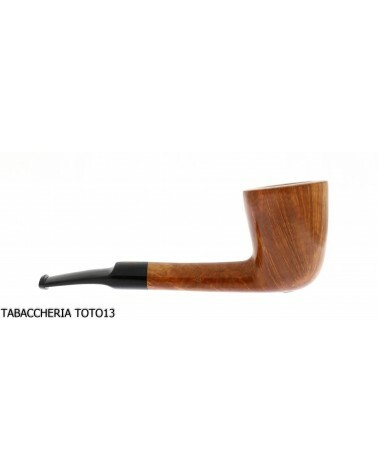 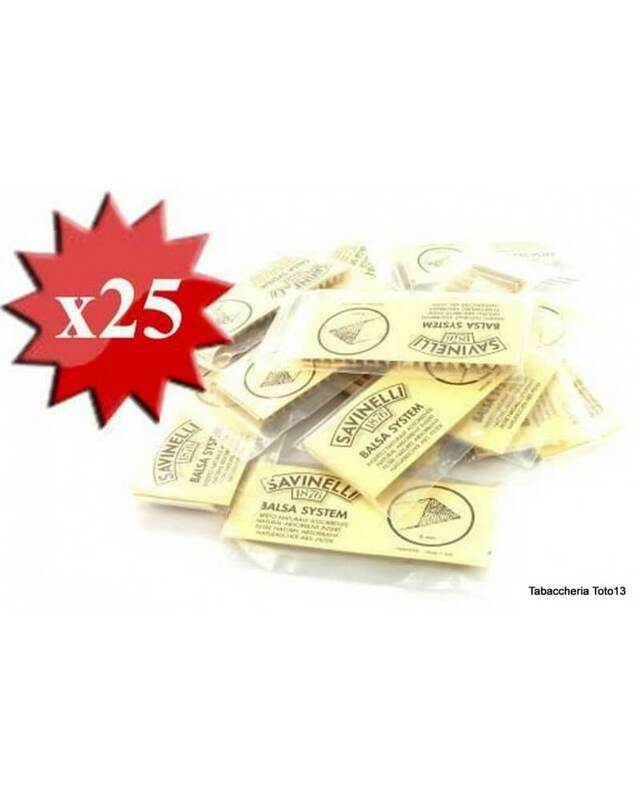 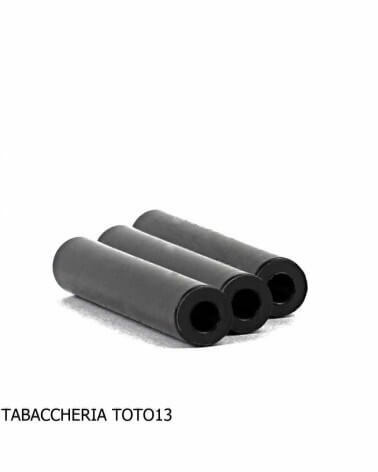 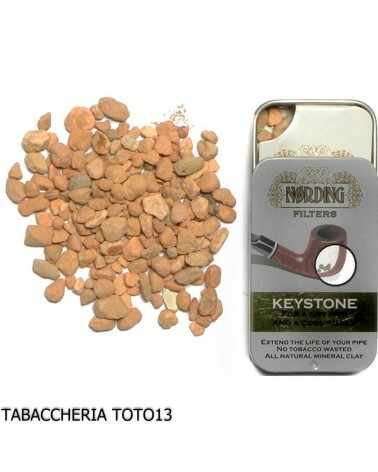 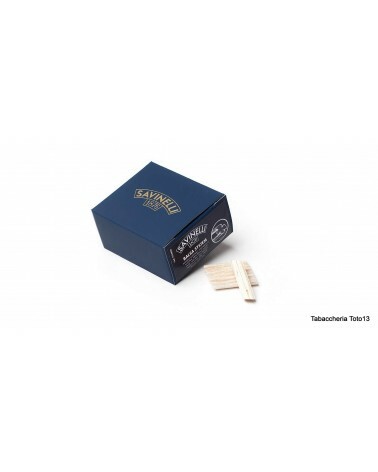 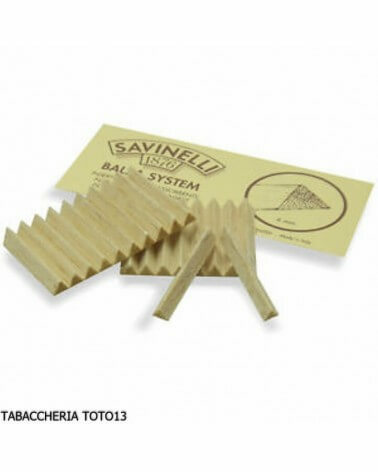 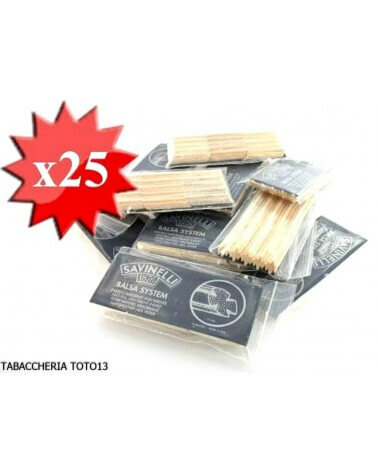 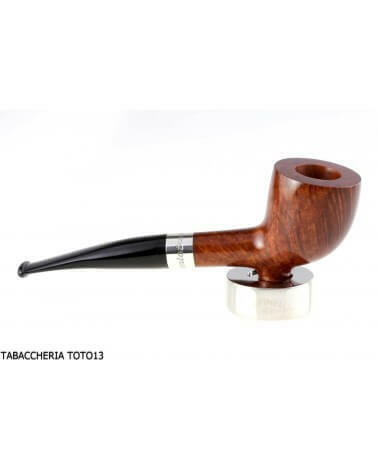 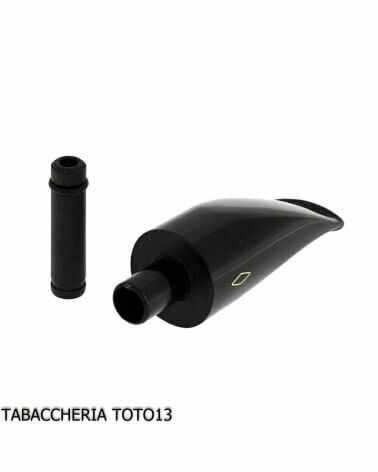 The filter of balsa Savinelli also assures a smaller scale and consequently a greater cleaning. 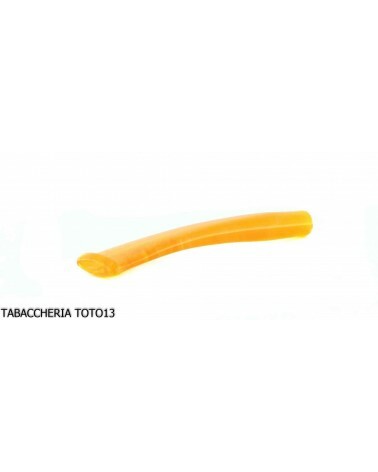 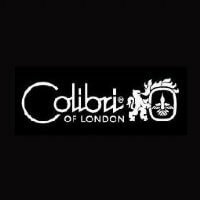 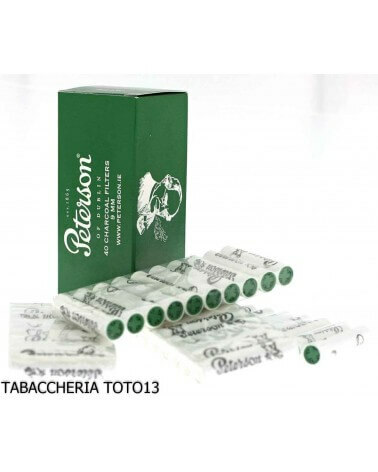 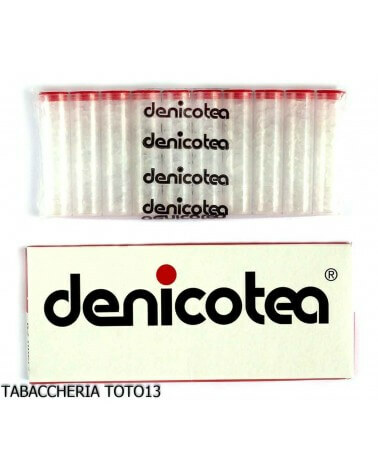 This absorption power comes from the numerous porous fibers of balsa that guarantee a perfect smoked without alteration of the fragrance and aroma of tobacco. 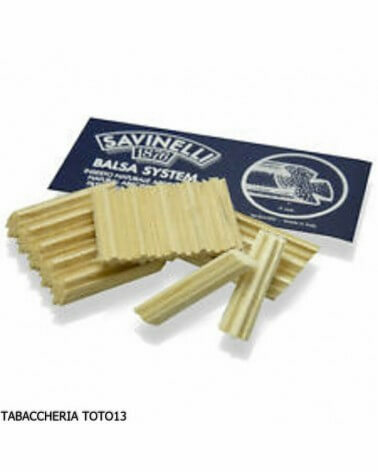 This filtering system Savinelli, patented, has been tested both by the EURATOM Research Centre in Ispra (VA), is the center of research & CHEMICAL ENVIRONMENTAL TECHNOLOGY Inc. of the US, with roughly the same result: "... the filter has the ability to absorb 77% of nicotine and 91% condensate in tobacco without altering the flavor .... ". 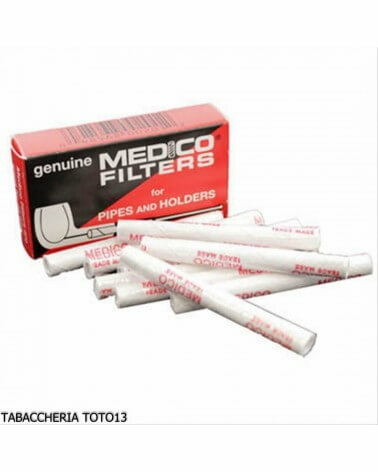 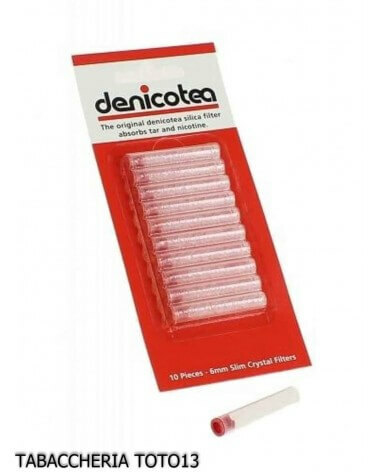 It is recommended to replace it every two / three smoke or every time you clean the pipe, also never store it for more than a day with inserted a used filter. 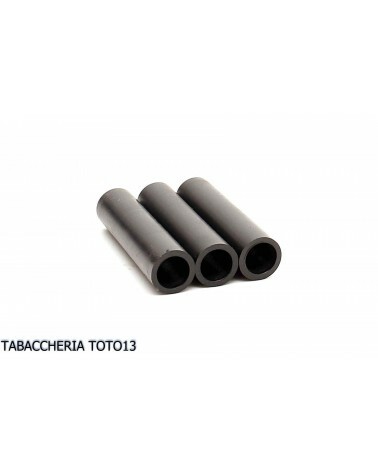 For correct operation of the pipe without filter is recommended to put in its place, the adapter (supplied).